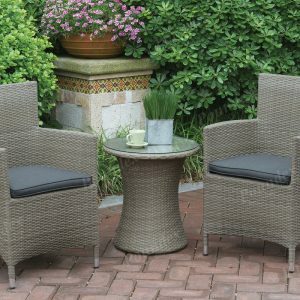 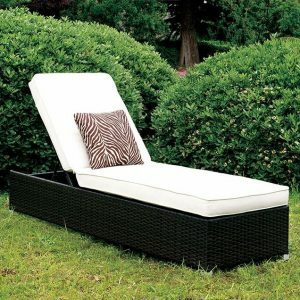 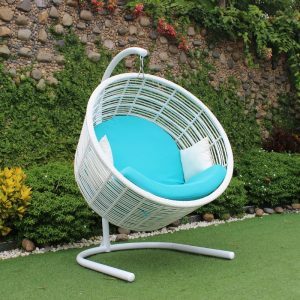 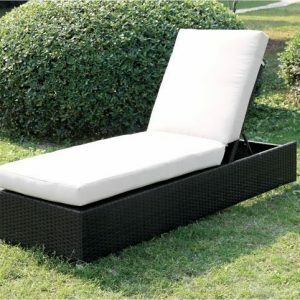 Ovum egg collection 5pc java brown wicker patio set features a rounded modern seat design, fabric padded seat cushion and a round wicker table with a sturdy stainless steel base. 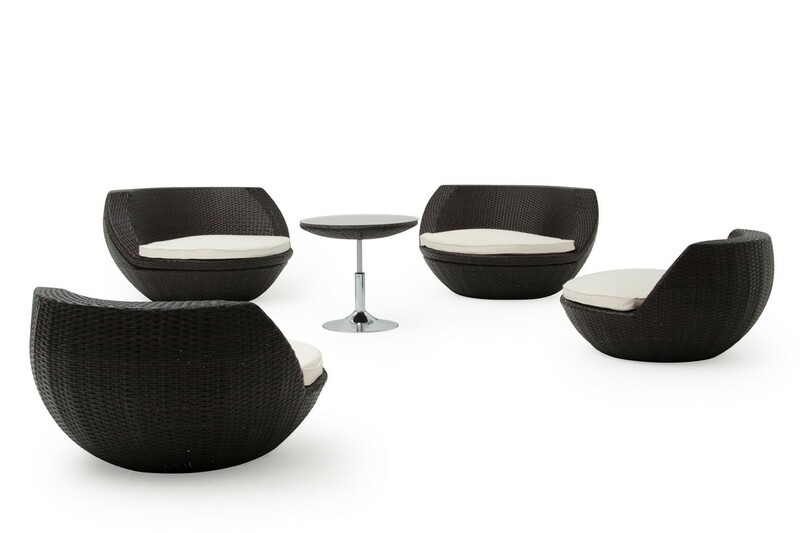 The table and 4 chairs fold up into an egg shape for both compact and aesthetic purposes. Put smaller chairs inside hollow big chairs that have removable seats and put 1 big chair upside down on the other big chair with the table inside to complete the compact egg look.